Highland River by Neil Miller Gunn has always been my favourite book. 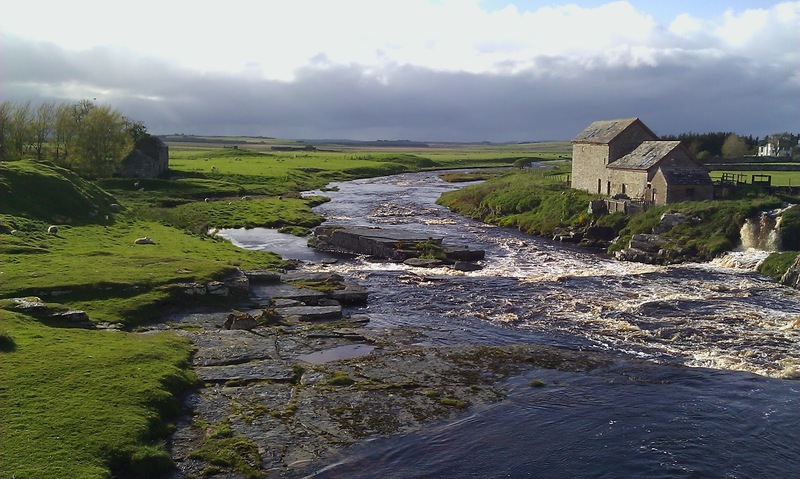 It tells the beautiful story of Kenn a young boy of about ten, 'who makes a pilgrimage to the source of the Dunbeath Water and, in a way, to the source of himself and his cultural heritage'. This is the river of my earliest recorded MacDonald ancestor, Donald who married Barbara Gunn from Strathalladale in 1785. They lived at a township called Breakachie, 'the speckled field' which lies on the haugh of the river about five miles from the coast and Dunbeath village. If you have a spare 20 minutes, watch and listen to Neil Gunn talking about his life on the Scottish Screen Archive provided by the National Library of Scotland. 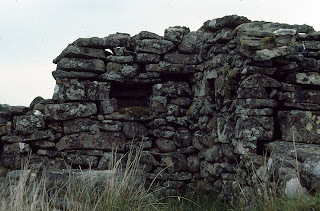 I took the above photo in September 1990 probably a few months after I had bought my first car, a Ford Fiesta from my uncle Donald Macdonald and travelled north to Caithness - to camp among the midges and go knocking on doors seeking 'strangers'. Donald Mackay Macdonald born 1926 died only last month. The Scottish Natural Heritage booklet, Gaelic and Norse in the Landscape - Place names in Caithness and Sutherland is an excellent introduction to the subject. 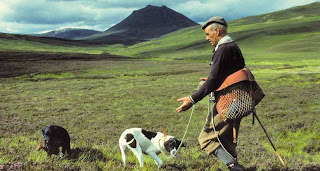 The place names of Caithness and Sutherland were coined, to a very large extent, by speakers of two languages which dominated this part of the world for centuries – Gaelic and Old Norse. However, Norse disappeared from our homes and hearths a long time ago and Gaelic has come perilously close to a similar fate. Sadly, Scotland’s education system has failed to take full advantage of the rich opportunities that an understanding of these languages would provide with regard to the history, heritage and ecology of our country. This booklet is written in the hope that people throughout Caithness, Sutherland and beyond will be stimulated to engage with all the languages that are a fundamental part of their heritage, and that they might come to be inspired anew by their beautiful and precious landscape. Latheron, the muddy place (G) Latharn, is the parish where some of my earliest recorded paternal ancestors resided. 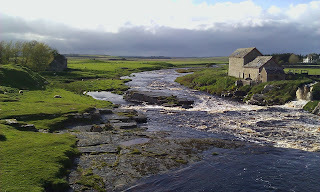 South-eastern Caithness has a rich heritage of old legends, originally told in Gaelic. My paternal grandfather was brought up by his Gaelic speaking Latheron grandparents, Alexander Dunbar (1848-1919) and Charlotte Sutherland (1851-1922). They moved from Boultach, Latheron about 1872-74 to work for the Davidson's at Buckies, parish of Thurso. By 1880 the family were at Oldhall, Watten also owned by the Davidson's, where Alex was a coachman. Both are buried in the old graveyard called the Tomb of Dunn, Watten. Entitled A' Tilleadh ar n-Eachdraidh Dhachaigh (Bringing Our History Home), the project will establish a unique body of research on Berneray's diaspora by gathering information from outwith the island before it is lost. The research is being performed by recently-appointed project worker Peter Kerr, who has an established body of research into the islands specialising in the social history of the Parish of Harris in the 19th century. His own Harris ancestry stretches back 220 years to Strond and very likely earlier from across the Sound of Harris to Berneray itself.